AARP Member Advantages wants you to enter daily for a chance to win a fabulous trip to ITALY worth $10,000 or you could score great prizes in their instant win game! Grand Prize (1): A 14-day/13-night “Best of Italy” trip for two (2) on a guided tour of Rome, Venice, and Florence, Italy. Trip includes round trip economy class air transportation from the major airport nearest the winner’s home to Italy, thirteen (13) nights’ hotel accommodations (one room, double occupancy) and Grand European Travel’s exclusive Travel Protection Plan for two (2) (ARV: up to $10,000). 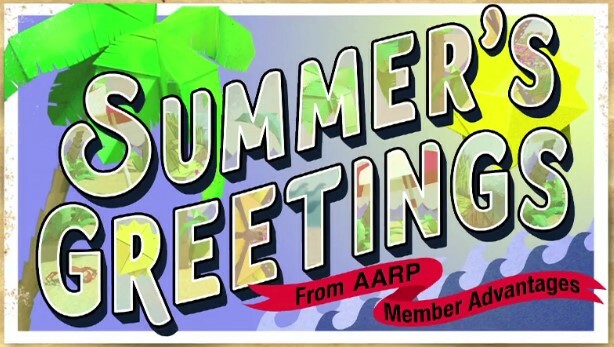 Instant Win Prizes: A Sponsor-selected AARP branded activity tracker, ARV $60, A Sponsor-selected digital camera, ARV $150, A Sponsor-selected AARP branded stainless steel travel mug, ARV $20, A Sponsor-selected AARP branded travel duffel bag, ARV $20 or A Sponsor-selected AARP branded picture frame, ARV $20. This Sweepstakes ends on 07/13/16 and you can ENTER DAILY to win.